The most common ladylike thing that comes to working women when she is financially independent is that “Now on I can shop anything I like, guilt-free, I can gift my loved ones, I can give pocket money to my young ones/siblings, I can go on vacations with my money, and so on”. It is easy to spend but when a real need comes then only we will think about savings and investments. 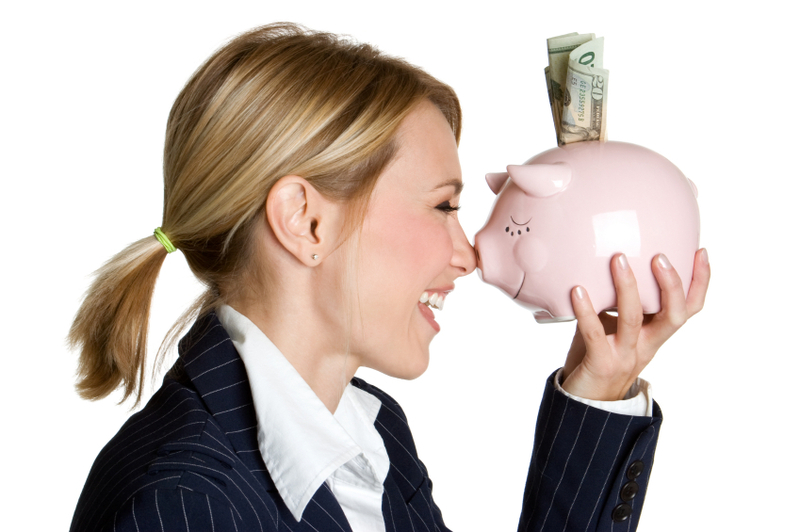 It is rare that women think about savings and investments even though they earn well. Unlike earlier, now women are into all fields where they earn equally as men. Intelligent girls start innovative businesses before they step out of college nowadays. But what is their financial savings status? The modern women adorn multiple designations from a loving partner, nurturing mother, to a self-sacrificing caregiver and efficient employee or employer. She not only maintains to meet household duties and family responsibilities but makes an identity outside the home and seeks a proficient professional life. She strives to battle every day, in a system that is heaped on her in many ways. There is apparently nothing she cannot achieve by herself. Even then, women move away when it comes to money matters. They are more happy splitting such duties of savings and financial investment planning to men in their lives like fathers to brothers to husbands and later to sons. And the fact is that they have progress at the workplace and increasing income levels. It is necessary for all women to take charge of their finances due to many reasons. Working women should begin saving from their income right when they start earning. Financial Advisors recommend that if women start investing as early as possible, the lesser amount they will have to invest to reach their goals. “Little Drops of Water Make the Mighty Ocean” isn’t it? Young women may be free of huge family commitments so that they can easily invest larger amounts compared to those who are married and mothers. Saving at least 20-30% of the monthly income is suggested by financial experts. Know what you earn, how much you need to spend and plan a monthly budget. Organize your expenses for a given period and observe if you have contributed more than you are prepared. Avoid unnecessary purchasing and spending. Decide and Include the saving and investment amount before the money reaches your hand. At the end of the month, make the necessary adjustments to optimize the whole expenses and savings; daily follow-up is proven to be helpful to save up to 15%. Allocating different bank accounts for different purposes blocks mixing up of finances. This method of splitting the money into specific accounts for specific purposes relating to an area of your life and using it only for that is a great way of money management. Assign an amount from the monthly earning for each account and enable automatic transfer every time you receive money. Saving may not be stable, money is very resilient that can easily get used. Aim to gather to invest, create returns and added income. It is good to be an enthusiastic investor and understand the economy up-to-date. Build a contingency fund that is at least equivalent to three to six months of your total income, in order to face any likely difficulties associating to work, health or personal situations that may occur. I personally recommend saving money for emergency travels also. If your loved ones are living far away from you (like in different countries) and you want to travel/fly to reach them suddenly, you will have to keep the amount always. The more profit you create, the greater the price that your customer will be ready to pay for the goods or service that you are offering. Funding in yourself to improve and build more skills is the best long-term investment where you can gain more experience, training and proceed to be upgraded. learning new skills and futuristic courses while doing a job itself is an investment forever. Educating self is never a loss and if it is while you earn then there is a reason to be more aplomb without depending on anyone. It is never too early or too late to plan a retirement and savings plan. Studies show that on average, women have a higher life expectancy than men and they should think about how they are going to manage livelihood when they are alone or when both the partners are retired or lost the income. Debts are never good as we do not know how it will bounce to us. These days people feel secure to have credit cards just because they don’t have to ask for help from anyone personally. If at all you are earning a credit card to open a business, purchase a house or a car, then you have to be responsible and timely to make payments without delay. Clear all the debts and mortgages on time. Women are often designated as shopaholics. True or not, majority of women love shopping, be it merchandise, jewellery, household, furnishings, shoes, bags, etc. Women even shop to release the stress instantly, but that peace of mind won’t last long. With many e-commerce websites rising offering huge discounts which are easily available almost all the time during the year, the urge to purchase more intensifies. Going overboard with the shopping celebration with immediately accessible money or EMI options can change a person from being a careful spender to an extravagant spendthrift easily. It is necessary to keep a line between need and greed for shopping. One may entertain the things which give them happiness. But, it is also inevitable to maintain your finances ideally and try to channelize them in a productive way. Many women rely on their husbands/fathers/sons for watching their finances, such as financial outlining, tax planning, expenses or filing tax returns. Women are not only good spenders but are able to save too. Thus, it is essential to be financially literate and take an effective role for her own and her family’s financial decisions. 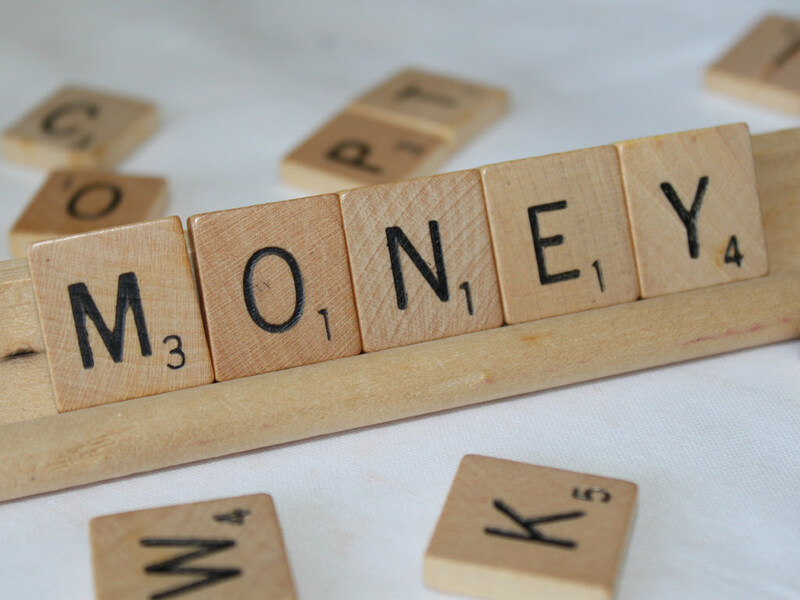 Financial literacy is the understanding of the set of skills and knowledge that enables a person to make knowledgeable and effective choices with all of their financial resources. Older women in our society were good in saving in their own way, like they bought gold not just as an ornament but as an emergency fund too. Another example is, women bargain maximum every time even when they buy daily essentials. All these contribute to their savings. Also, most of us have seen unique piggy banks in our houses in our childhood; sometimes it may be a jar, a secret box in the trunk, etc. With varying times and convenience to the new financing or saving avenues, women must try the savings options based on parameters like short or long-term investments, business-oriented or returns based investment, etc. It is necessary to steer the earnings or savings into some fruitful investments rather than retaining it in vain at home or in a bank account. Lastly and most importantly, INSURE! All investments and savings may go wasted if your family is not sufficiently insured. Life insurance and health insurance are two must do preparations for the future. If we talk about the life insurance plan, a term insurance plan is the most essential part of your financial plan. There are special premium plans for ladies granted by most of the insurance companies. But, they do no offer term plans to home-makers. Though, a home-maker can take other benefits like money back policy, a unit-linked insurance policy, etc. But it is important to secure the income earner insured by a term plan so that the family is self-sufficient all the time. Sickness, diseases or an accident has always been uninvited in one’s life. These days getting medication/treatment in a privately owned hospital can take a huge amount from your savings. Treatment for severe maladies like cancer or heart attack may feed on your finances. Thus, in this period of growing medical inflation, having a health insurance policy becomes compelling to ensure a financial back up to resist any medical emergency coming. Don’t rely entirely on the health insurance given by your employer as it is available only till the time you are connected with that company. It is reasonable to care about all the insurances as early as young. Financial self-sufficiency for women is core to their empowerment, an essential element of which is regular saving and investment planning. If not prepared in advance, one can often be in trouble, particularly when they need large amounts of funds. While women have been traditionally connected with investing in physical gold, with the varying economy, more women are willing to invest in long-term targets. It is also good as we partake in the economy as a whole as more money is being flowed in the market rather than keeping them idle. 1. Public Provident Fund (PPF) and National Provident Fund (NPF): Retaining for retirement is perpetually the primary long-term goal for most people. Companies you work provide a PF fund. It is desirable to get additional retirement/pensions plans other than this provident fund. Opt for PPF or NPS, or even both if you think they’re needed. While PPF has a lock-in duration of a minimum of 15 years, NPS investors have to remain for at least 10 years before they can take some portion of that fund. Both these schemes offer tax redemption opportunities, and for NPS an extra exception for up to Rs 50,000 can be demanded under Section 80CCD (1B). 2. Real estate: Buying a property is a good long-term investment, mainly for women for whom most banks grant lower rates than men while availing loans. The home loan interests come in between 0.25 and 0.50% less than male claimants, and some banks provide advantages of the flexible payment structure for women. Also, you can save tax by stating the principal repayment and the interest repayment. 3. Mutual Funds: Mutual Funds offer many kinds to choose from, for instance, Liquid, Equity, Debt, Hybrid. If you are a new investor you can start with something less risky like liquid funds, and gradually progress on to others. 4. Fixed deposit in Bank (FD): A fixed deposit (FD) in a bank is a reliable option for investing in India. Under the Deposit Insurance and Credit Guarantee Corporation (DICGC) practices, all depositors in a bank are protected up to a maximum of Rs 1 lakh for both principal and interest values. As per the requirement, one may opt for monthly, quarterly, half-yearly, yearly or cumulative interest option in them. The interest rate received is added to one’s income and is taxed as per one’s income slab. 5. Gold: Possessing gold in the form of jewellery is always favourite to women but it has its own concerns like security and huge cost. Then there are these ‘making charges’, which typically range between 6-14 % of the cost of gold and sometimes may go as high as 25 % for designer pieces. Gold coins make a better option for saving. Other alternatives to investing in physical money are Paper gold and ETF gold. Paper gold means a substitute for physical gold. Here you only own a promise to receive physical gold. In gold ETF (exchange-traded fund) you won’t actually own any gold. Rather, you as an investor will obtain the cash equivalent. Such investment happens on the stock exchange (NSE or BSE) with gold as the underlying asset. In the above investments, some are fixed-income while others are market-associated. Both fixed-income and market-linked investments have a capacity to plan in the means of wealth making. While market-linked investments support in driving the volatility and in the process produce a high real return, the fixed income investments help in maintaining the acquired wealth so as to meet the aspired goal. For long-term purposes, it is essential to make use of both. The above-mentioned financial tips for working women may miss a few more points, but these are the best and very popular ways in which a woman can save money for long run. Above all, It is always recommendable to women to continue in a profession as long as possible and save money foreseeing future events. Ayoti liberates women by giving an opportunity to earn and be financially independent. 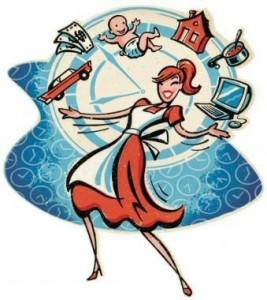 It provides work from home opportunities for women who want to earn but are restricted at home for household reasons. It also provides self-defense training so that a woman becomes aware how to protect herself in the time of danger. Associate with Ayoti and know more about this. So, what are you waiting for? Save and make your life secure!! Is marriage really necessary for a woman?